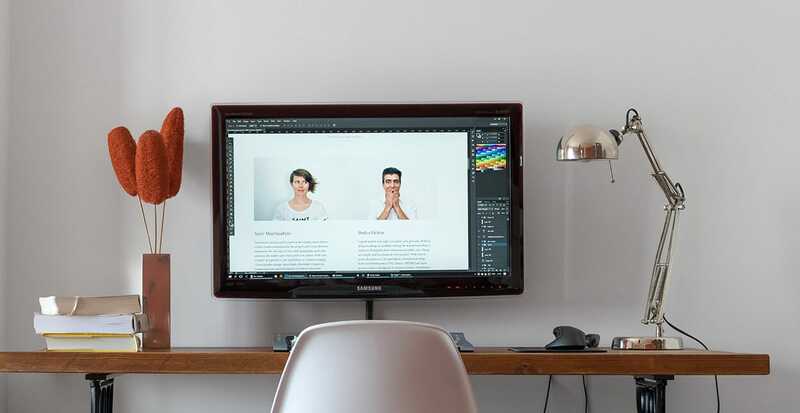 Whether you are looking for a perfect business card or a competitive edge, your online presence is a key factor in your business credibility and one that you can’t overlook. Structure, content, logic, wireframing and prototyping are not extras in our work, we consider them essential in adding value to your business. We believe in careful study and research allowing your website to become a tool that responds to your specific needs and creates value. Too often we see websites that were not a good investment. Websites that are abandoned, not used or updated in any way, websites that were never a good fit for the companies needs. These websites although cheaper initially, continue to cost money and provide no real return on the investment made. So what do I get when I order one? You get a high-quality professional design from a 12 years experienced team that is easy to edit and is created as a tool to increase your business value. A tool to help you both market and monitor your business. Two commonly thrown around terms, User Experience Design and User Interface Design are two elements of the design process. UX is a more technical field where we will focus on customer satisfaction and loyalty, our goal is to allow a pleasurable interaction between the end-user and the company, it services and it’s products. UI design is the visual field, the look and feel of the website, the personality the micro-interactions. Good UI will create emotional responses to the end user, they can make your brand fun or formal. At Inkilas we focus on customer analysis, research and branding to allow a clear storyline to your digital experience. Being strong believers in responsiveness and seamless transition between screens we create UI prototypes to make sure it adapts to all device screen sizes and we oversee the implementation closely. Initially, we will focus on strategy and content, we analyse your business and your competition, your product and your customer so we can help you develop or adapt your content to your customer. From there we wireframe and prototype your digital experience so we can test and iterate it to perfection. The last stage is to coordinate with both the UI designer and the developer and after launch to analyse the impact of the changes. Maximize the impact of your message, clarify and help your customer understand the correct meaning of your words. A creative asset will help you convey your message. From graphic design to video or audio we will help you navigate your way into engaging content and a clear brand story. Icons that you can use consistently across your digital or print experiences, videos or photos that you can use to showcase your product are invaluable to your brand’s communication. We will work with you to create valuable assets that help you boost customer recognition across all your marketing channels.